Back in 2001 a certain "fast" and "furious" movie first made APR Aluminum Spoilers famous. Though aluminum spoilers had been a popular racing aerodynamic upgrade in Japan for many years, it took the movie to make the raw aluminum look famous in the states. When it comes to racing, a spoiler is one of the few things on your car that you don't necessarily to be as light as possible. Though not MUCH different in weight than fiberglass, an adjustable aluminum or carbon fiber spoiler is just heavy enough to help balance out the downforce of your vehicle at racing speeds, while not being a burden to overall speed. Additionally, the slats can be adjusted for varying degrees of downforce... though seriously, most people just buy APR aluminum and carbon fiber wings because they look cool. APR spoilers are also built with attention to the smallest detail; each component is designed with pristine uniformity and come with rust proof stainless steel bolts for assembly. Also, since their first introduction in 2001, APR adjustable aluminum spoilers have been upgraded with real carbon fiber side plates. Raises GTC-200 spoiler by 2.5"
Pretty carbon fiber spoiler! I'm loving it!! I received my APR wing in a perfect condition! 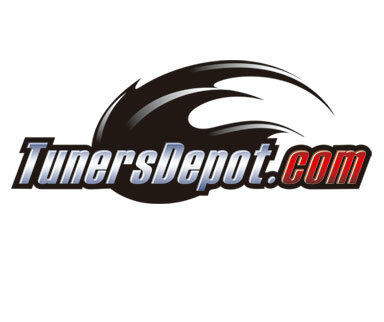 Thanks Tuners Depot!! Good job!! Get the APR spoiler install today on my corvette and they look awesome!! Great!! I'm very satisfied with the quality of the spoilers. The APR wing perfect fit on my Mustang. The package is really well pack and fast shipping. Good job Tunersdepot! !